Home � � Gentlemen, start your engines -- in Brooklyn! Gentlemen, start your engines -- in Brooklyn! An international racecar series is coming to New York for the first time,with a championship race on the Brooklyn waterfront. Parking lots that surround the Brooklyn Cruise Terminal are to be transformed into a race track. 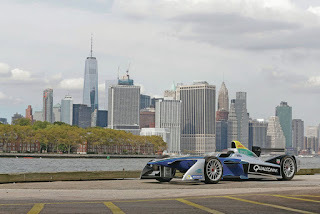 Formula E is set to come next summer — the first global auto-racing championship ever in New York City. 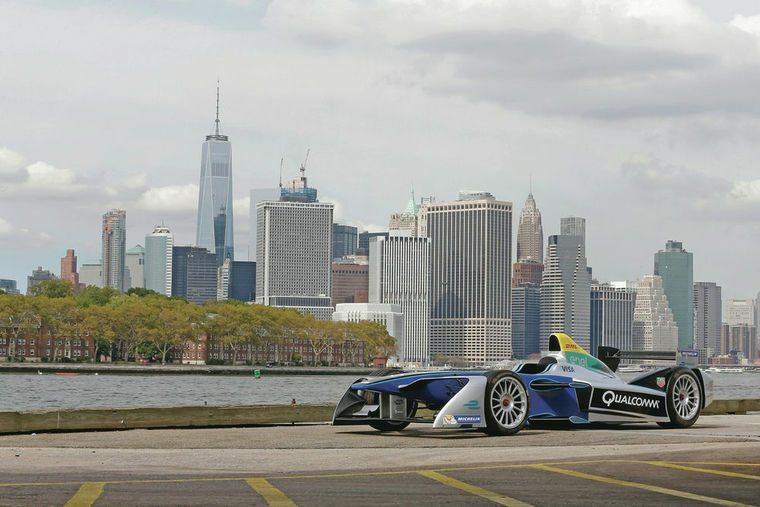 "We've been really trying to come to New York for a long time," said Alejandro Agag, CEO of Formula E. "It was our dream since starting Formula E to come to New York. And we just couldn't find the right spot until we found this one." Formula E racing began a few years ago. The cars are all electric, but they look nothing like a Prius. They can reach speeds of 180 miles per hour, although they will likely go no more than 150 on the curvy course planned in Brooklyn. The racetrack will be built over these 15 acres on the waterfront in Red Hook, with the Statue of Liberty and the Manhattan skyline as the backdrop. "The race is really fast," Agag said. "And you can get really close to the race because you don't have the noise. You have protection barriers and everything. But it's also some of the best drivers in the world." Here's the Brooklyn design for the 1.2 mile track that features 13 turns. The city says this site works because it is not part of street or near any housing. "It's self-contained," said Maria Torres-Springer, President of the New York City Economic Development Corporation. "And so our goal is to highlight the race. To make sure that visitors have a wonderful and safe experience and to also make sure that we're minimizing any disruption with the local community." Organizers say the two days of racing planned for next summer are also a way to showcase sustainable "green" technology. "Formula E wants to promote the electric cars, the technology for the electric cars to make our cities cleaner and to fight global warming," Agag said. While the July dates have not been set yet, you can expect tickets to go on sale in January.